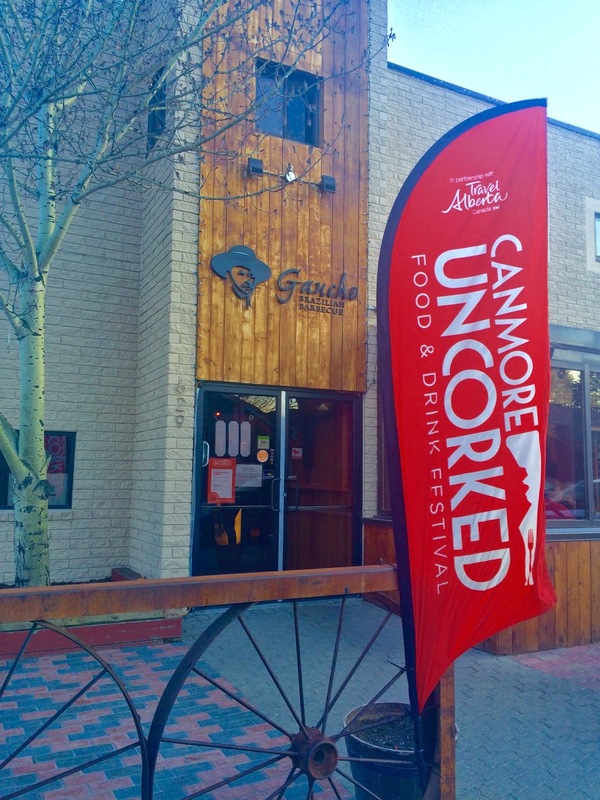 On Saturday night we decided to pop out to Canmore for their set menu food festival Canmore Uncorked. I really enjoy these types of events; there’s a single price price, I don’t have to decide what to order and the menu they do have is usually some of their chef’s best work. It is a great way to have a reasonably priced night out and the perfect opportunity to try something new! I spent about an hour looking over all the menu’s in each price range, and narrowed it down to a couple just as friends text to see if we wanted to do dinner. Of course, a double date is twice the fun just as a double chocolate cookie is twice as delicious, so I called in a reservation for four. I was quite chuffed to get a table at our first choice restaurant since I called in the afternoon, and because the time was a bit later, we were able to stop at the Grizzly Paw Brewing Company for a quick beer beforehand. Win win! 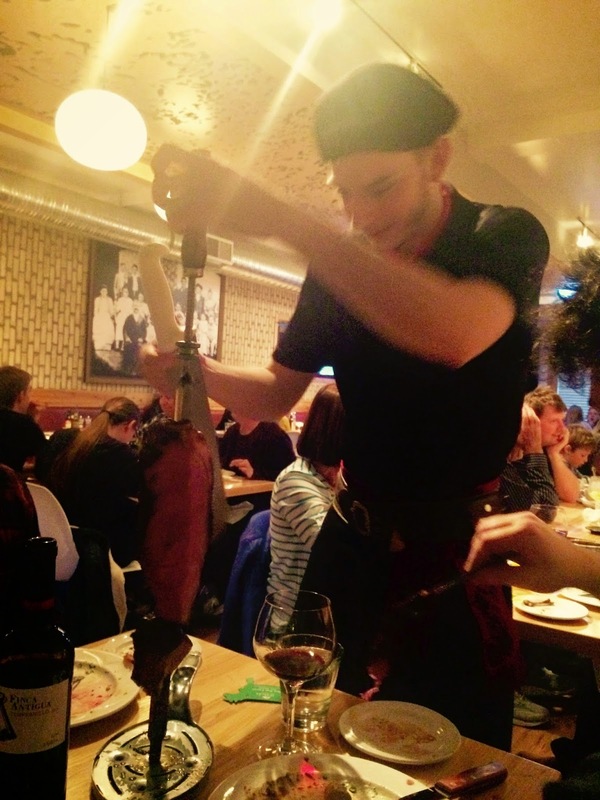 The Gaucho Brazilian BBQ menu was not set in the traditional sense. For $29 per person you still had free range of the salad bar and hot items, a limited selection of their meats but in an unlimited quantity, and a dessert as the finale. For starters, the salad options were creative and diverse and I found out, if you take exactly one scoop of each, you have no more room on your plate to try anything else. Having over-filled my plate, I skipped the hot items, apart from a couple slices of warm baguette.We all sat down, flipped our card to “green cow” to signify our readiness for the meat portions of the meal, and prepared for the skewers which were already making our mouths water. The meat was all delicious and brought around by very friendly staff who all seemed to share a good sense of humor, which with our table was likely required. The skewer selection for this menu consisted of garlic top sirloin, their signature AAA rump steak, Beef Parmegiano, Mini Spolumbo’s pork sausage, rosemary pork loin and chicken wings with a beer and herb sauce. They also brought around lightly grilled provolone cheese which was a nice palate cleanser. After saying “yes, please” to each selection once around, we quickly started to prioritize. The garlic sirloin steak, signature steak and rosemary pork loin became our favorites; the steak was tender and perfectly medium rare while the pork, if you were lucky to get an outside piece, just melted in your mouth with a great balance of fat, spice and char. 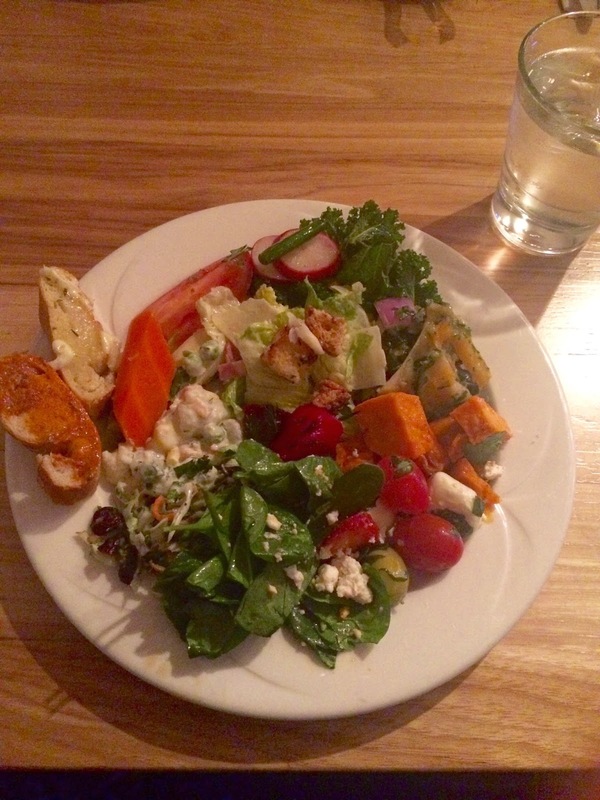 In reality, everything was good, and even my pile of 20 salads were a delight as I tried each one. I did go back to the hot food to take a small taste of each item (rice, potatoes, beans, chicken curry and fried basa fillets) and though very good still, I preferred my pile of nice cold salads to accompany the never ending meats. Now generally, I prefer a beer with my dinner, but with this type of buffet style eating, a red wine proved to be a more sensible choice and a delicious way to help digest. We decided to go out of our Cab Sav/Malbec comfort zone and opted for a 2011 Finca Antigua Tempranillo. It was an excellent choice if I may say so myself! 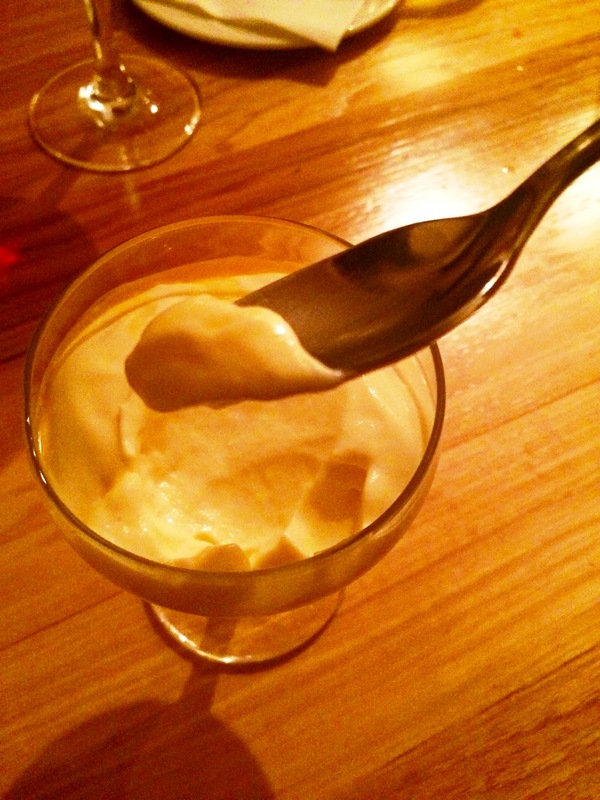 To top off a delightful evening of food and being so happy with our food that we barely had a conversation that wasn’t about said food, we were served a light and slightly acidic passionfruit mousse for dessert. Our driver also grabbed a little espresso to avoid a “food coma” setting in on the drive home, and with full happy bellies we drove back to Calgary.